This gull was lifting and then dropping clams to the pavement - from a perfect height. 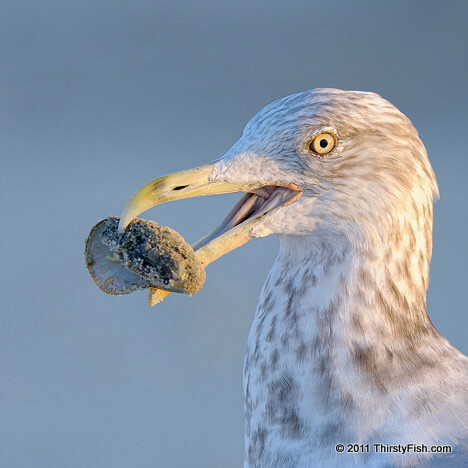 You can find studies and information about "shell dropping behavior of gulls" on Google. You may also be interested in reading about tool use by animals.